Healthy 'N Fit® 100% PURE SPANISH BEE POLLEN carries the exclusive Healthy 'N Fit Certification of Quality. Only the purest, most natural ingredients are used to formulate this product. Each lot is laboratory tested. Our quality EXCEEDS industry standards or government requirements. Healthy 'N Fit's® AMINO ACID CHELATED MINERALS comes with a Certification of Quality. Only the most natural and purest ingredients are used to formulate this product. Healthy 'N Fit® TIMED RELEASE C-1500 is formulated with 1500 mg of Vitamin C, with Rose Hips in a special base which provides for a gradual release of Vitamin C over a longer period of time. Healthy 'N Fit® BODYBUILDER'S MEGA VITAMINS & MINERALS is formulated to insure a complete supply of high potency, timed-release vitamins, chelated minerals and nutrients the entire day. Healthy 'N Fit® REPLENISH V.M. taken as directed is formulated to insure your body of a complete supply of nutrients the entire day. REPLENISH V.M. 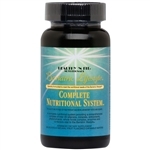 provides an all natural source of time-release vitamins and chelated minerals. Healthy 'N Fit® KID NATURAL nutritionally supports the mind and body of growing children! The most nutritionally complete and balanced children's formula. This convenient, tasty chewable is all natural, and contains all the vitamins, minerals, and antioxidants that a growing mind and body needs. Not simply a multi-vitamin supplement… A scientifically formulated, comprehensive complex of over 35 vitamins, minerals, antioxidants, phytonutrients, whole foods complex, enzymes, and co-factors- to nutritionally support optimum health in a fruit-flavored, natural and delicious chewable tablet. Bariatric Lifestyle COMPLETE NUTRITIONAL SYSTEM. One capsule of Healthy 'N Fit® NATURAL A & D supplies 200% of the U.S. RDA for Vitamin A and 100% of the U.S. RDA for Vitamin D, for adults and children 12 or more years of age. Healthy 'N Fit's® AMINO ACID CHELATED MINERALS comes with a Certification of Quality. Only the most natural and purest ingredients are used to formulate this product. Healthy 'N Fit® TIMED RELEASE B-COMPLEX 100 is formulated in a natural base of Alfalfa, Watercress, Parsley, Lecithin and Rice Bran. This special base provides for a gradual release of the B Vitamins over a longer period of time. Healthy 'N Fit® KID NATURAL nutritionally supports the mind and body of growing children! The most nutritionally complete and balanced children's formula. This convenient, tasty chewable is all natural, and contains all the vitamins, minerals, and antioxidants that a growing mind and body needs. Healthy 'N Fit® TIMED RELEASE C-1500 is formulated with 1500 mg of Vitamin C, with Rose Hips in a special base which provides for a gradual release of Vitamin C over a longer period of time. Healthy 'N Fit® BODYBUILDER'S MEGA VITAMINS & MINERALS is formulated to insure a complete supply of high potency, timed-release vitamins, chelated minerals and nutrients the entire day. Healthy 'N Fit® REPLENISH V.M. taken as directed is formulated to insure your body of a complete supply of nutrients the entire day. REPLENISH V.M. provides an all natural source of time-release vitamins and chelated minerals. The Healthy 'N Fit® NUTRI PACK™ formula has been prepared especially for active people. One packet daily contains a total supply of Timed Release Vitamins, Amino Acids, Chelated Minerals, Antioxidants, and other nutrients - all in a handy and convenient packet. Healthy 'N Fit® KID NATURAL™ nutritionally supports the mind and body of growing children! The most nutritionally complete and balanced children's formula. This convenient, tasty chewable is all natural, and contains all the vitamins, minerals, and antioxidants that a growing mind and body needs. Healthy 'N Fit® SUPER NUTRI™ (Mega Potency Packs) is specially formulated to meet the nutritional needs of athletes and bodybuilders. In order to perform and look your very best you need to be at optimal health. SUPER NUTRI PACKS contain high potency vitamins, minerals and other nutrients to nutritionally support optimal health. Healthy 'N Fit® NATURAL LECITHIN is an excellent source of the Lipotropics, Choline and Inositol. Each capsule contains 1200 mg. of unbleached Lecithin derived from Soybeans. Healthy "N Fit® E-COMPLEX 400 is 100% natural. Some other products labeled only as "Natural" are a blend of natural and synthetic Vitamin E. Not Healthy 'N Fit E-COMPLEX 400. When we say 100% natural we mean 100% natural.